Last Call for a Caribbean Poker Cruise! If you have not already enrolled, shame on you! UK Poker News, along with Ladbrokes Poker, has a free-to-enter poker tournament lined up on 28th June in which you can win a 10-day poker cruise in the Caribbean worth $5,500. Now is the time to play! No red-blooded poker player can refuse this opportunity of 10 days frolicking in the sun, visiting several Caribbean ports and playing non-stop poker on the cruise ship – including a main event that, last time it sailed, paid the winner $375,000! The Devilfish - Dave Ulliott, Marc "Mr Cool" Goodwin and Roy "The Boy" Brindley were amongst many of the professional players on board as well as the Ladbrokes ladies such as Leilani Dowding to add plenty of glamour. The Cruise freeroll will be played by a limited number of players so winning it is highly realistic. It is surprising how many people just trip over an opportunity, dust themselves off, and walk on. Don't let that person be you! 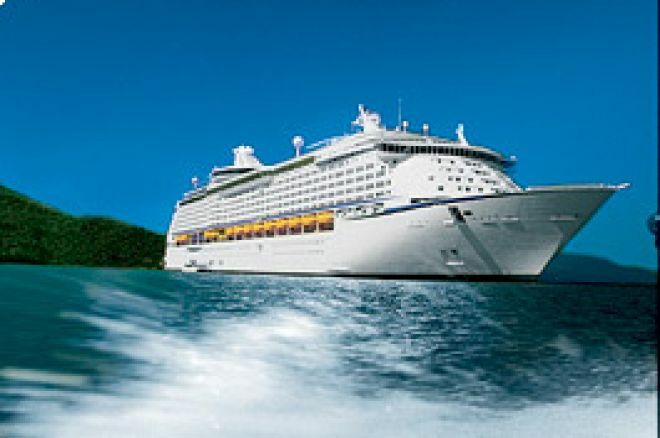 In this glorious once-in-a-lifetime holiday, you will have all of the poker tournaments and side games you need on board the luxurious cruise liner "Explorer of the Seas". You will also dock at San Juan in Puerto Rico, Charlotte Amalie in St. Thomas, Casa de Campo in the Dominican Republic and visit an exclusive private beach and watersports paradise at Labadee. Click on this Ladbrokes Poker Cruise link for more information. Remember, time is running terribly short to play the few hands needed to gain your place at the table. It is not only the winner of the freeroll that benefits. The second and third placed palyers in the freeroll will get another chance to sail in the sun by picking up an entry into the Ladbrokes Weekly Cruise Final worth $550. Those players will still have a 1 in 10 chance of making it to the Caribbean at a cost of zero dollars! That's not all. Fourth to tenth places in the UK Poker News freeroll gets you free entry into $66 seats in the Ladbrokes Poker Cruise Daily Final. This event gives you a chance to win through to the Cruise Weekly Final that the second and third placed players enter directly. The Ladbrokes Caribbean Poker Cruise will set sail from New York on 25th January 2008 and return on 3rd February 2008. Each cabin on the cruise ship, the "Explorer of the Seas", will have its own balcony and wi-fi internet connectivity. Luxury! Ed note: Book your luxury holiday for six months time. Simply enter the UK Poker News/Ladbrokes Caribbean Poker Cruise Freeroll now!